Last week I received confirmation. The words there in black and white telling me which school our little man has been allocated to attend in September. Even though I have known for the past (almost) five years that this day was on the horizon I genuinely can’t believe my baby boy will be starting school in a matter of months! I think part of the denial comes from thinking I had already waved my youngest child off to school years ago and experiencing the same emotions I am currently sifting through. Despite being nearly nine years ago I remember it like it was yesterday, waving Thing 2 off on her first day at ‘big school’ and heading back to the car for a little cry knowing that both of my babies were all grown up. Of course, when Thing 1 headed to school a few years prior it was a massive event, however I still had a lively and somewhat demanding toddler at home with me, so I didn’t have the same empty nest feeling that I experienced when Thing 2 started school. At that point in time I truly believed my baby days were behind me, yet years later my third and final angel was born. With the girls being in the last few years at primary school and me being a Stay at Home Mum it meant that during the school day it was like having an only child again, just me and my shadow sidekick. Fast-forward four years and here we are on the downhill run towards starting school and that dreaded day where I must wave my last baby off and I know from experience how hard it’s going to be. Being a September Birthday, he will be very nearly five when he starts school and I know that he is more than ready for the extra stimulation he will receive there to help him learn and develop. Despite this the selfish part of me wishes I could wrap him up in cotton wool and keep him at home with me forever! Of course, all these feelings are kept under wraps, if the little man asks school is the best thing since sliced bread and despite him telling me he will miss Mummy I know I have to stay strong and save the tears for when he is safely ensconced in the classroom on the first day. I know for a fact I’m not alone and most if not, all parents will be going through the same roller-coaster of emotions as September approaches. The only thing that makes all of this better is the knowledge that I’m sure he will come bounding out of school on the first day having loved every minute and all of my fears and worries will be unfounded. Music Makers – Every Friday, during term time, since he had just turned one we have been going to Music Makers class. We have made some wonderful friends over the years and I (never mind Leo!) will definitely miss it – I will have to make do with my sing-a-long CD instead! My little time keeper – Leo loves to keep me on time for EVERYTHING! If it gets to 12.02 he is sure to be there reminding me he hasn’t had his lunch yet! I’m sure I will no doubt be late for quite a few things once my little clock watcher isn’t there to keep me on track. Questions and chatter- I never thought I would hear myself say this, but I will miss his constant chatter and his question machine gun – he barely pauses for breath some days! It will certainly be very quiet on that first full day. Snuggles – Those days when he returns from his morning at nursery tired and wants nothing more than snuggles under a blanket on the sofa watching TV. I’m sure I’ll still get a few of these when he is exhausted after school! Quiet Soft Play’s – I’m sure most parents will agree that soft play on any day can be pretty hellish! Once he starts school though I know I will have no choice but to take him at the weekend when they are sure to be packed to the rafter’s, I can’t think of anything worse! Days Out – Mr F has day off during the week and we have always tried to schedule in days out. 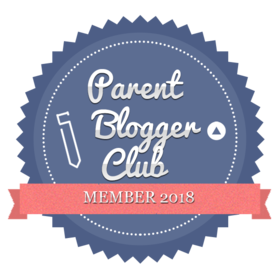 Ranging from something as simple as a trip to the park or a walk in the forest to a ‘touristy’ day out we have really enjoyed doing things that we know we would never be able to talk the teenagers into doing as a family! I’m sure on the flip side there will be many things to counter-balance what I will miss – off the top of my head enjoying a warm cup of tea and having the freedom to meet friends for lunch and being able to have a full conversation without being interrupted! I’m confident he will enjoy school as he thrives on learning new things and meeting new people, I need to realise he is a grown-up boy and he is ready to spread his wings and fly. How did you cope when your child started school? Is your little one due to start this September too? I would love to hear how you are feeling! Have you read our Back To School collaboration with Stickerscape? No lost uniform for me this year! My kid isn’t old enough to go to school just yet, altough he’s starting in the daycare next August and I’m not quite sure yet how to cope with it. Time flies, a end of an era. What a little cutie! Did you get the school you were hoping for? I’ve worked in childcare for just over a year now and most of the children I’ve got the best relationships with will be leaving us to go to school this year and I know I’m going to cry at their ‘graduation’ so imagine what I’ll be like when it’s my own! It’s a shame you’ll miss out on your family time together but I’m sure you’ll make other arrangements so that you still get to do all of the things you love with him! Thanks for reading Jess . We did get our first choice thank goodness ! Aw, this reminds me of when Flora started school (4 years ago!) and how choked I was on the day! I know you’ve been through this already but it doesn’t make it any easier, does it? But, as you say, Leo’s more than ready and the opportunity to have some free time – and even some time with Mr F – has to be a bonus!